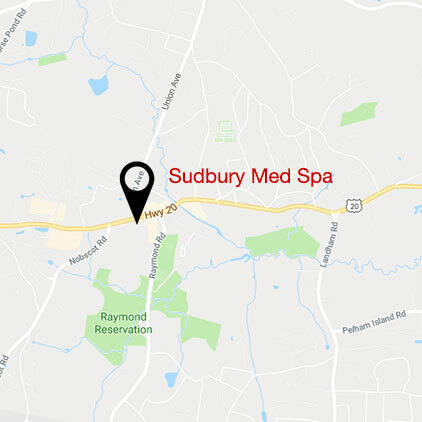 Click on each banner to read reviews of Sudbury Med Spa from Google, Facebook, and Yelp. The Spa is outstanding as well are the owners. I am saving my money to have my neck, marionnett and parenthesis done. I highly recommend the Sudbury med spa. Natalie and Dr. Le were wonderful! I was very happy with my results. So happy to have Sudbury Med Spa in town! Natalie, the owner, is so kind, welcoming and knowledgeable. So is Dr. Le, who did a great job with my Botox. I’m very happy with the results. Up until now I have been going to a med spa in Boston — not anymore. This is so much more convenient. I’ll be back and would highly recommend! Very friendly and professional. She took care of multiple sun spots on my face quickly and easily. I wish I had done this years ago! I was nervous about doing this, but she definitely put me at ease. She also has some great facial products available. Professional look spa. And also the owner is also a registered pharmacist so you can trust her 100%. Very friendly and professional. Did a great job removing sun spots on my face – quick and easy! Natalie is friendly and knowledgeable about all of their services and how they will perform. I bought Latisse for my eyelashes and they are unbelievable! Thank you Natalie! If you can’t go to the Sudbury Med Spa, bring the spa to you. Sudbury Med Spa offers you the chance to purchase from an extensive collection of superior-quality skincare products. From lightening creams to skin-friendly cosmetics, we have them all at our shop located in Worcester, MA. Copyright © 2019 Sudbury Med Spa. All Rights Reserved.